Relationships can be a beautiful version of complicated. Many of us are struggling in our marriages. Whether it is a breakdown of communication, infidelity, or money management, therapy can help. Your relationship can come back from this struggle. By leaning on each other’s strengths and learning to forgive each other’s weaknesses, our therapists can help you create a loving partnership. 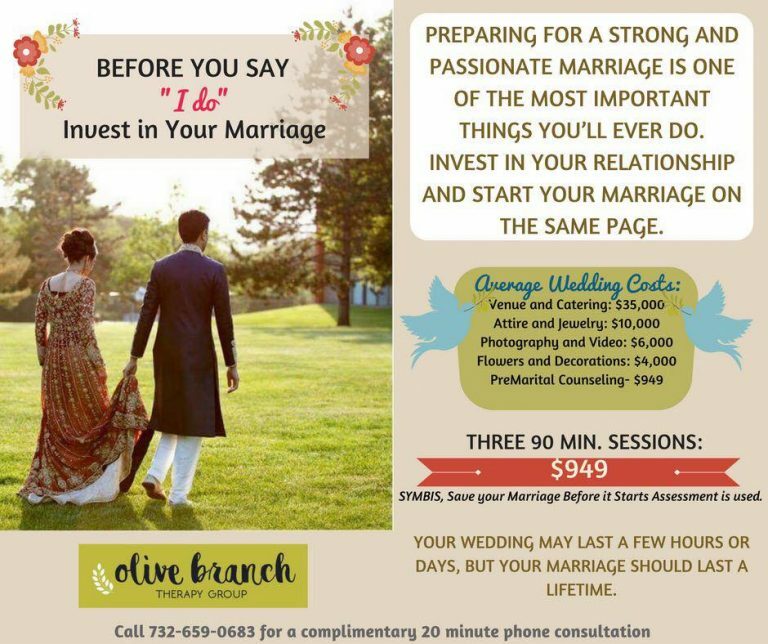 We work with couples who are thinking about getting married and offer pre-marital counseling. We firmly believe that thought and communication should be put into making the decision to marry. We are facilitators of the SYMBIS Assessment (Save your Marriage before it starts). Click here for more information. SYMBIS Assessment does two things for couples: 1) flags and lowers their risk factors, and 2) optimizes their combined strengths as a couple. It does this by assessing everything from psychological well being to revealing how their combined personalities can be leveraged for optimal success. The SYMBIS Assessment is robust, personalized, and powerful. Our clients have expressed clarity and confidence in decision making after our pre-marital therapy sessions.